| 200 S. Walnut St.
Alpha L. Byrd, 71 of Mt. Vernon, passed away on November 18, 2018 at Linda E. White Hospice Center in Evansville. She was born on April 24, 1947 in Nebo, KY, the daughter of Lestine and Margaret (Bethel) Browning. Mrs. Byrd enjoyed fishing and Nascar racing. 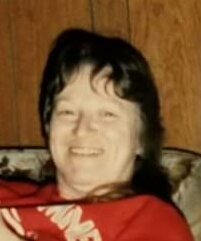 She is survived by son, George (Susan) White; daughters, Linda (Roy) Nation, Mary F. Davis, and Bonnie J. (Marvin) Dillard; seven grandchildren, and eight great-grandchildren; brother, Danny (Beth) Browning; sister, Alice Mitchell. She was preceded in death by brothers, Glen, Jewel, Clarence and Joseph.